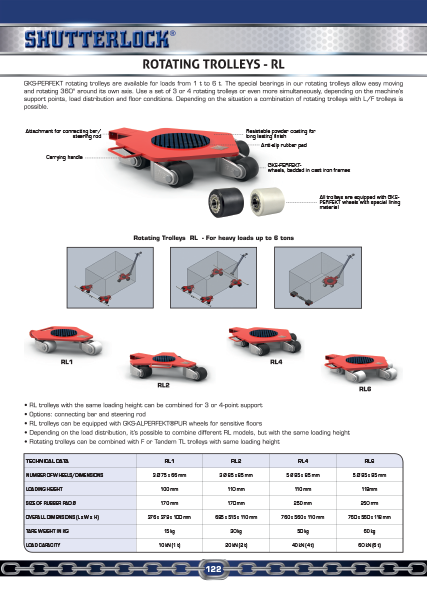 GKS-PERFEKT rotating trolleys are available for loads from 1 t to 6 t. The special bearings in our rotating trolleys allow easy moving and rotating 360° around its own axis. Use a set of 3 or 4 rotating trolleys or even more simultaneously, depending on the machine’s support points, load distribution and floor conditions. 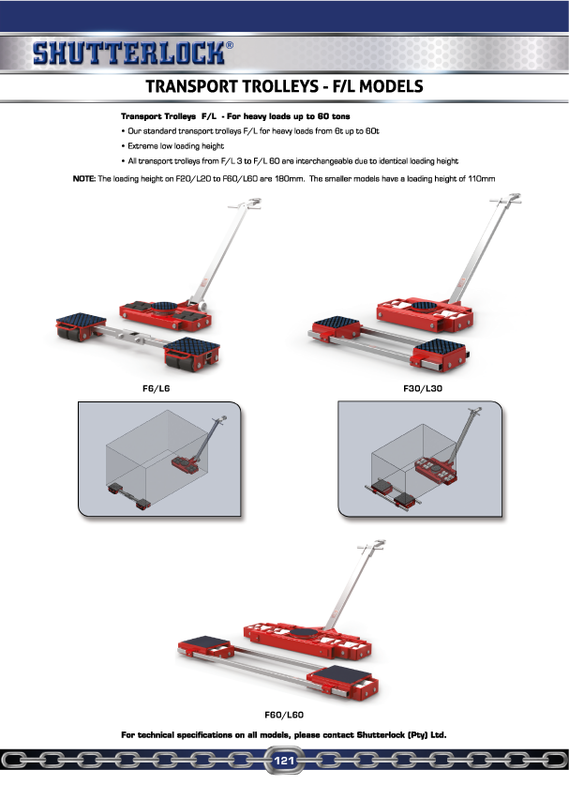 Depending on the situation a combination of rotating trolleys with L/F trolleys is possible.